Failure to provide antibiotics prior to appendectomy surgery causes infection, further surgery, scarring and PTSD. Our client, B, suffered severe infection following his appendectomy surgery after the hospital failed to prescribe prophylactic antibiotics prior to his surgery. He required additional surgery, PTSD and additional scarring as a result of the failure. B was 10 years old when he was admitted to Maidstone Hospital in with right-sided abdominal pain. Appendicitis was suspected and appendectomy surgery took place the next day. However, on inspection of the appendix, appendicitis was not found. The plan was to discharge the day after surgery, but B became unwell with a raised temperature and vomiting. His wound was noted to be inflamed therefore antibiotics were prescribed. A week later, B underwent further surgery to explore and wash out the surgical wound. Following surgery, he was discharged, despite being in pain and his wound leaking. He was readmitted the next day and underwent emergency surgery to wash out the wound again. He remained in hospital for a further three weeks with drain and stoma to manage the wound. The wound required regular dressing and was noted to have fully healed by August 2014. B’s mother instructed Jenny Waight to investigate B’s treatment. Expert evidence was obtained and it was alleged that there was a failure to provide prophylactic antibiotics prior to the appendectomy surgery. Had this been done, on balance, B would have avoided his infective complications and further surgeries. Further, there was a failure to change antibiotics when there was ongoing raised temperature, and it was clear these were not working. It was also alleged that it was inappropriate to discharge B when he was still clearly unwell. The defendant admitted liability. Further expert evidence was sought. B suffered significant scarring which caused him embarrassment. The psychiatric expert commented that B had suffered with Post Traumatic Stress Disorder (PTSD) as a result of his life threatening experience. The case was settled in the sum of £44,000 which was approved by the court due to B’s age. This included a sum for future cosmetic surgery and therapy, should B wish. 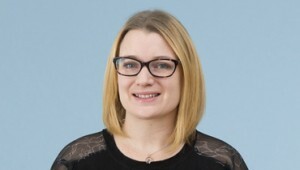 Jenny Waight specialises in general surgery cases. If you would like to ask a question about a potential case, or if you have a general query about clinical negligence contact Jenny at Thomson Snell & Passmore solicitors on 01892 701374 in confidence.